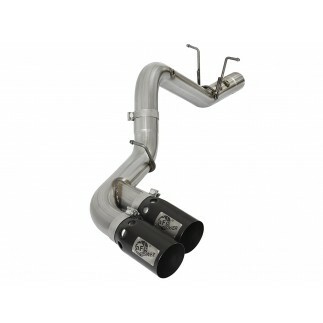 This BladeRunner GT Series Intercooler with tubes represents the next generation of intercoolers by utilizing a 2-5/8in bar and plate core design and larger tubes to outflow stock by 10%. The unique BladeRunner end tanks are constructed out of 3/16in TIG-Welded aluminum plates. The use of the bar and plate core design allows for greater airflow and increased heat dissipation over the stock tube and fin design. 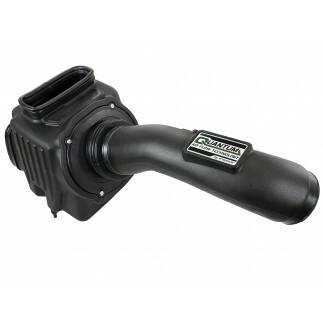 This BladeRunner Intercooler uses billet aluminum inlet and outlet for superior strength and durability. 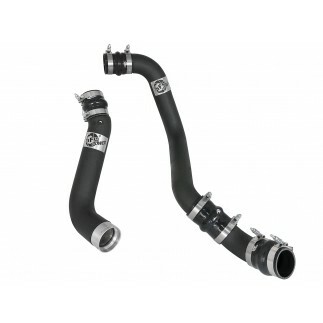 aFe Power's BladeRunner intercooler tubes are constructed from 3in hot side and 3-1/2in cold side mandrel-bent aluminum tubing for maximum flow. 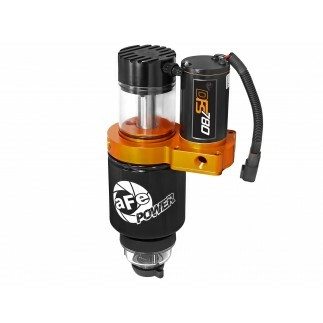 The high-temp wrinkle-black powder-coat insulates the tubes from engine heat and protects them from corrosion. Smooth transition bends decrease turbulence and minimize pressure loss, increasing horsepower, torque and lowering EGT's. 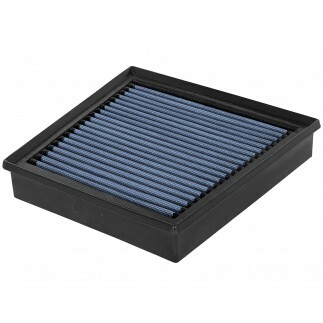 This intercooler features four (4) 1/8in NPT ports on the back side of the intercooler for sensors or water methanol injection and two (2) 1/8in NPT ports on the bottom for draining condensation or oil build up. In addition, one (1) 1/8in NPT port is provided on each tube. 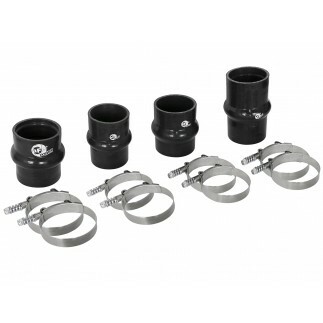 Factory mounting locations, quality stainless steel spring-loaded T-Bolt clamps and heavy-duty 5-ply polyester reinforced silicone couplings ensure a secure install. 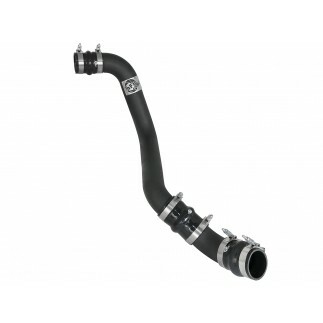 The cold side tube includes a factory-style quick connect with an O-ring seal for a quick and simple install and retains the factory air temp sensor for a hassle-free installation. 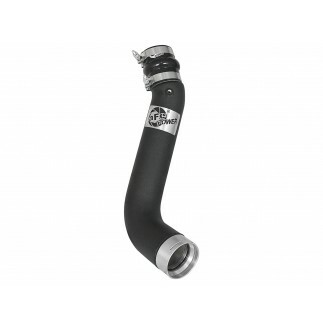 The intercooler tubes are badged with an aluminum laser-cut aFe Power logo. 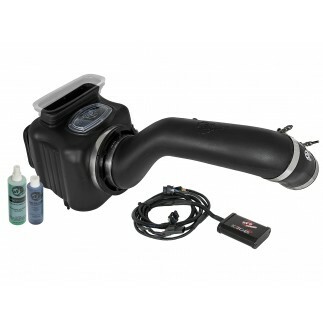 This intercooler kit is not CARB exempt at this time and is not legal for sale in California or use on vehicles registered with the California Department of Motor Vehicle.